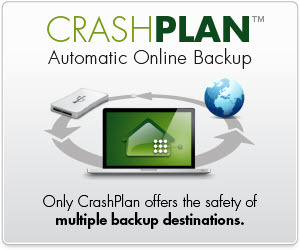 Crashplan as with all other online storage/back up companies is a great decision to make to insure that you keep all your valuable documents, pictures and files in a safe location if ever your computer crashes or is stolen. Crashplan stand out from the rest as they allow you to back up any external hard drives and the option to back up to another location not just online. For example, a friend’s computer and more. Crashplan is currently offering a 30 day trial, one of the longest we’ve found. Try them out today and see how important they can be for you.